I've been working on something new and I'm loving it. I was a bit scared to release it to the world as I was afraid of getting my hopes and spirits dashed if people hated it. Alas, it was the complete opposite and it got a wonderful reception on Instagram. Thank you all for being so kind. It is by no means perfect, but that's the charm of handmade no? I'm working on another hoop which I will be sharing with you soon! I hope you like it. I'm really enjoying the whole process, slowly stitching away. I'm taking my time to get as much out of the creative process as possible. I'm trying not to rush, to focus on the work at hand and not on the finished product. For someone who is usually manically crocheting Christmas orders this time of year it is a sweet, sweet relief to be able to do this. This is what crafting is all about. 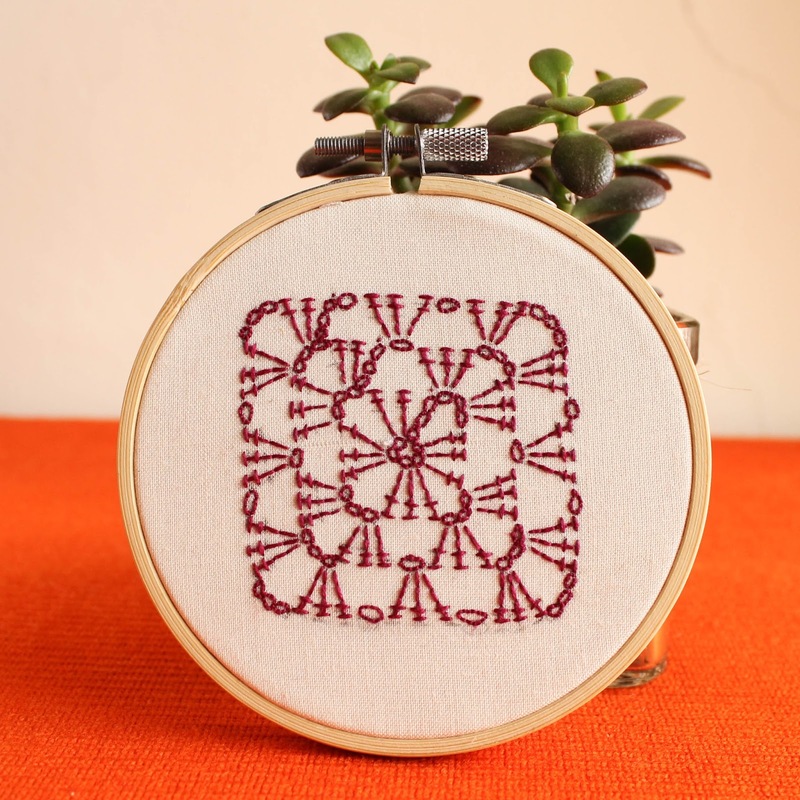 Embroidered crochet patterns, what a clever idea, they're so pretty in their own right!